The Federal Motor Carrier Safety Administration has granted reprieve from hours-of-service rules to one group and received an exemption request from the rules from another. According to a document published in the Federal Register on Feb. 6, FMCSA is granting the American Concrete Pavement Association exemption from two HOS rules: the 30-minute rest break provision and the requirement that shorthaul drivers using the record-of-duty status exception return to their work-reporting location within 12 hours of coming on duty. Exemption from the 30-minute rest break provision enables drivers transporting ready-mixed concrete in vehicles other than those outfitted with rotating mixer drums to use 30 minutes or more of on-duty “waiting time” to satisfy the requirement for the 30-minute rest break, provided they do not perform any other work during the break. The other exemption allows drivers using the record-of-duty status exception to return to their work-reporting location within 14 hours instead of the usual 12 hours. MORE ACTION FROM FMCSA: Split sleeper berth pilot program dropped. One reason behind ACPA’s application was the time-sensitive nature of concrete transportation. A typical mainline paving project (such as paving highways, airports and streets) involves mixing concrete at a central mix batch plant located 3 to 10 miles from the paving site, transporting the freshly mixed concrete to the paving machine, placing the concrete pavement, texturing the slab surface, curing the concrete slab and saw-cutting the pavement. Concrete haulers also must deliver the material within a timeframe specified by the transportation agency. The agency stated that the exemption, which will last five years, will result in the same level of safety that would have been achieved without the exemption. FMCSA’s announcement of the granting of ACPA’s petition appeared in the Federal Register the same day as a joint request for similar exemptions from a group of trade organizations that includes the National Cattlemen’s Beef Association, the Livestock Marketing Association, the American Farm Bureau Federation, the American Beekeeping Federation, the American Honey Producers Association and the National Aquaculture Association. The applicants are seeking exemption from rules that limit the duty period of property-carrying drivers to 14 consecutive hours. Specifically, they are seeking permission to drive 15 hours in a 16-hour window after spending 10 hours off duty. The request would pertain to drivers who transport livestock, insects and aquatic animals. If granted, the limits requested by the applicants would take effect once they have traveled outside a 150 air-mile radius from where they started. HOS laws are a common concern among agriculture haulers, whose cargo can spoil or perish if they experience delays or insufficient breaks. The document notes that trips to transport bees for the purpose of pollinating crops are some of the longest in the country. 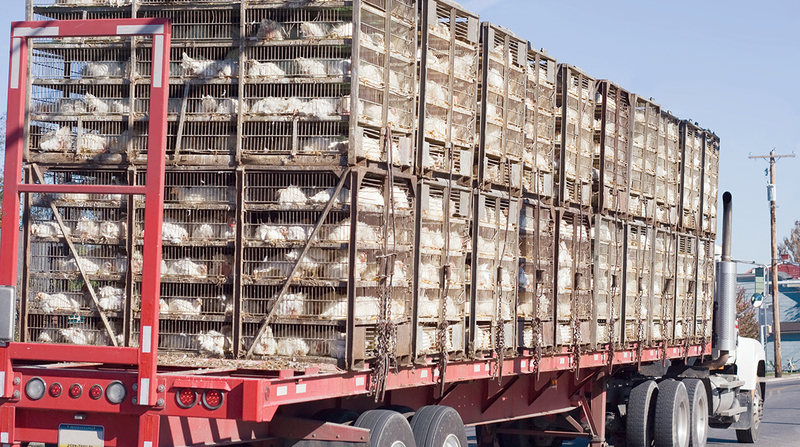 The applicants state that current on-duty driving limits may place the health of livestock at risk during lengthy hauls, noting that while most trips can be completed under the current limits, about 30% of livestock hauls would fall under the parameters of the requested exemption. The applicants contend that the exemption would not negatively impact safety because it would only be used by a small number of experienced drivers who plan their trips carefully and regularly undergo training. FMCSA will accept comments on the application request through March 8.